CODE. 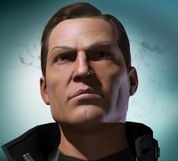 Alliance comprises the majority of New Order Agents. Wherever they travel, fear is struck into the hearts of criminals everywhere. The right-hand of James 315 and most elite fighting force of the CODE. Alliance (and all of Eve Online), The Conference Elite is the backbone of most of the larger stings and operations, and also employs the most experienced and grizzled agents. The original corporation in the CODE. Alliance, New Order Logistics has taken on the role of accepting new ganker-recruits and training them into weapons of mass terror. Be wary however: this is no mere feeding corp; NHCOC is a force to be reckoned with in their own right. Solid leadership and quality recruiting has elevated Logistics to elite status in the ganking community.